See how she uses the concrete images of “fried corn” and “strong coffee” instead of saying something more general such as, “hearty southern folk?” Practicing this kind of strong imagery can only add to your tool box as a writer, whether you write fiction, non-fiction, or poetry. See how short and seemingly simple this poem is? And yet he’s expressing the complex issue of his own mortality and the materialism of our culture through the imagery of “dead men’s shirts” in such a succinct way. At the end, the simple “so sweet/and so cold” provide so much texture. We can taste the sweetness and feel the cool sensation of biting into the fruit. There is a sensualness to the simplicity, rendering the need for cerebral language unnecessary. And he saves his use of adjectives (because those should be kept to a minimum whenever possible!) until the very end, when we’ve lived in this world just long enough for these words to resonate and mean something. The simplicity of his language lends to the tone of voice and implies an intimacy between the speaker and addressee. It’s not a formal letter, which would begin “Dear…” or “To Whom It May Concern.” Each word, including the title, is conversational and confessional, which punctuates the idea that word choice needs to be appropriate to the content–an idea that is beneficial in both poetry and fiction. The words “sweet” and “cold” are playful, which begs the question: when he says, “Forgive me,” is he really asking for forgiveness, or is he being coy, flirtatious? He’s taunting the addressee (who we can assume to be his lover) with the devoured plums! This poem is also an example of the power of the line break and how poetry can play with white space on a page. It looks like it could be a post-it note written to his lover and stuck on the fridge. It’s also a great example of how your title can play into the overall context of your piece. As you can see, working in the poetic form can only benefit you as a writer, no matter what you write. 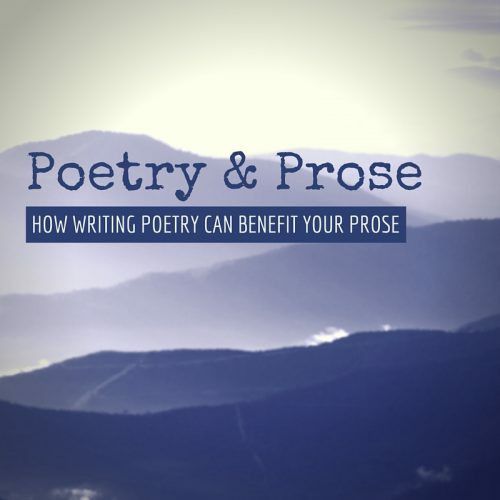 Poetry forces you to tighten and think purposefully about word choice as it relates to the content, motivation, and point of view. Poetry is an invitation to focus on specificity and imagery in your writing. Some people are intimidated by poetry, but really, it’s one expression of the purposefulness and intention we hope to find in all writing. By Nicole Criona and Carmiel Banasky.